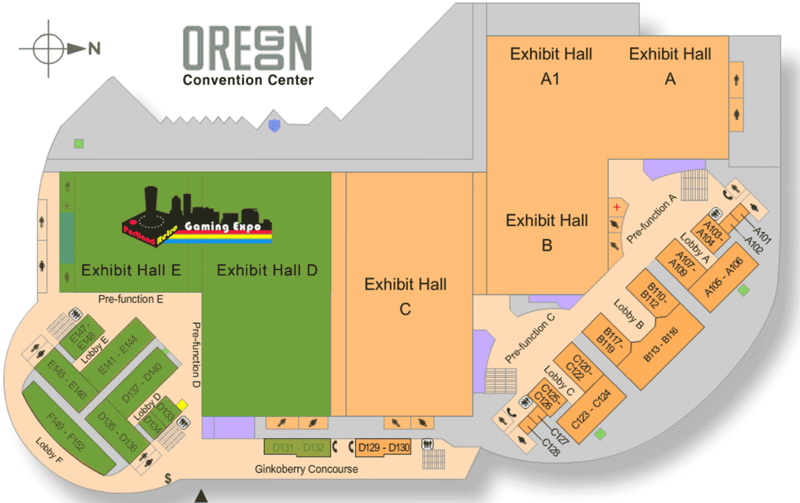 Getting to the Oregon Convention Center couldn't be easier. 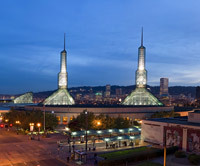 Its central location in the heart of downtown Portland's Rose Quarter/Lloyd District affords numerous and speedy transportation options - whether traveling by car or taxi, riding the city's airport-connected TriMet MAX light rail, or often by simply strolling a short distance from your hotel. Just eight miles from Portland International Airport (PDX), the OCC is accessible via Interstate Freeway I-5 North from exit 302A (Rose Quarter) and I-84 West Exit 1 (Lloyd Boulevard). It is bound by Holladay Street, NE Martin Luther King, Jr. (MLK) Boulevard, Lloyd Boulevard and NE First Avenue. 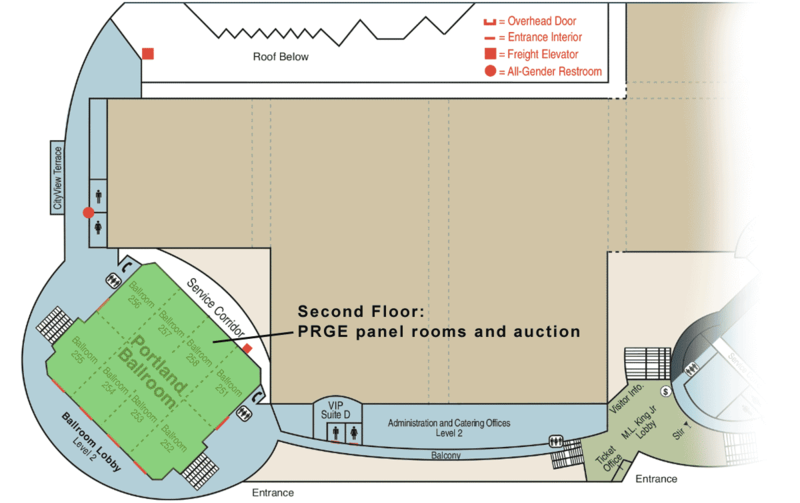 The Portland Retro Gaming Expo will be located in Halls D and E as well, the D, E and F meeting rooms and in the Portland Ballroom on the second floor at the south end of the building. Areas occupied by PRGE are highlighted in green in the diagram below.